The latest Mercedes E Class saloon. Luxury and Comfort. In Polar White with Chestnut leather interior. 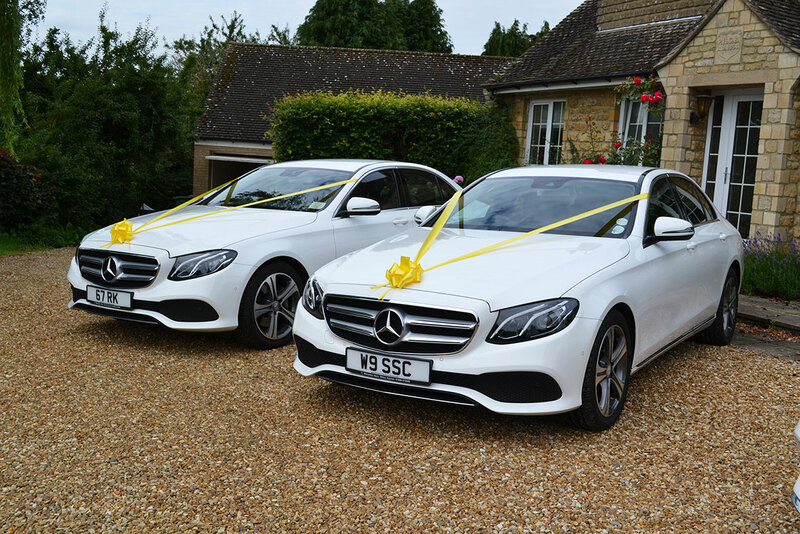 The Mercedes E Class is suitable for any wedding or wedding party. Seats upto 4 passengers. 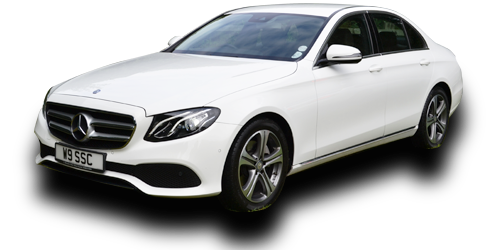 The Mercedes E Class is Modern and discreet with luxury comfort. Suitable all year round. This car features a unique colour combination. 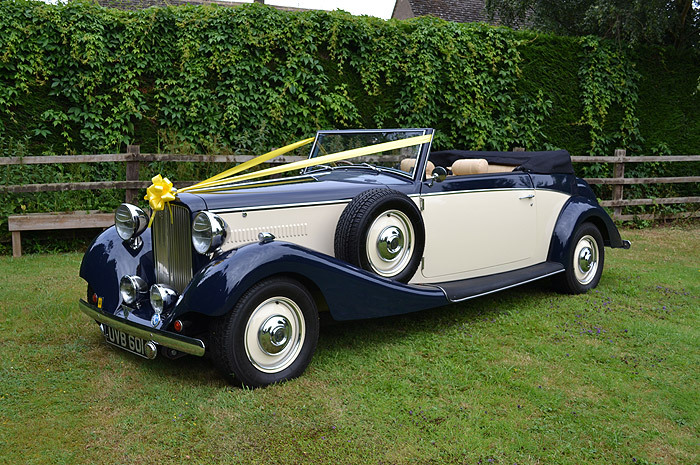 Our range of impressive Modern and Classic Wedding Cars are gracefully decorated with ribbon and bows. 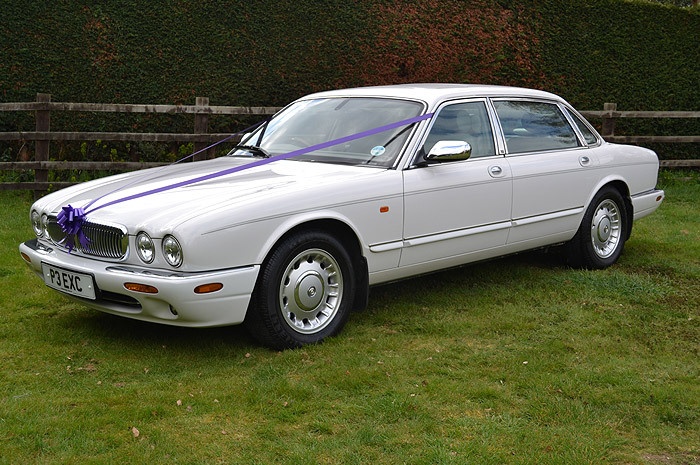 We choose our vehicles according to style and elegance. 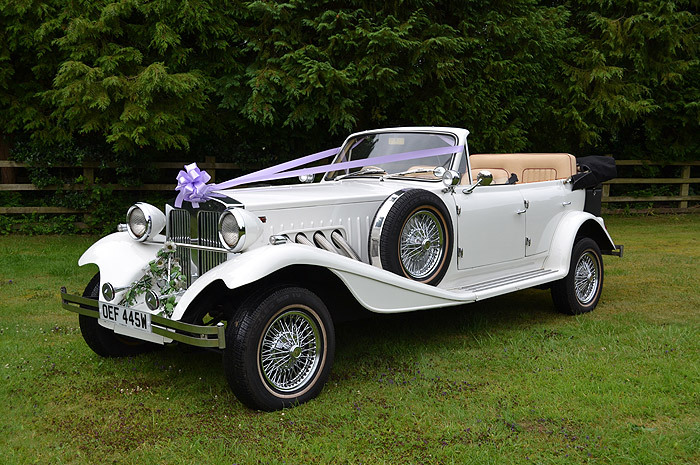 Each and every vehicle is spacious with plenty of legroom for the Bridal dress and train. 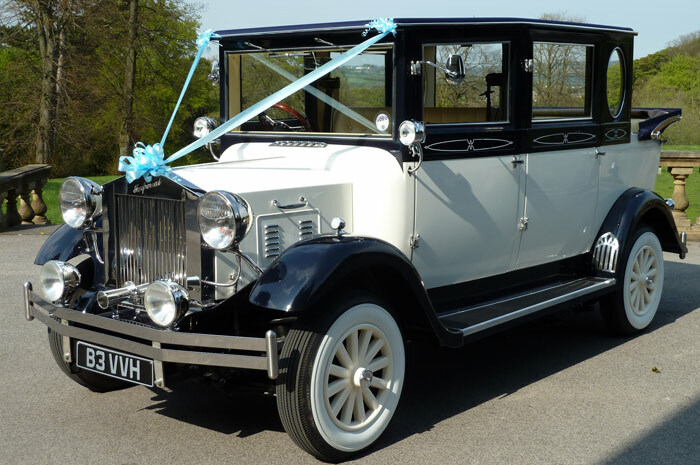 We also can provide transport for the Bridesmaids, Groom and other wedding guests. 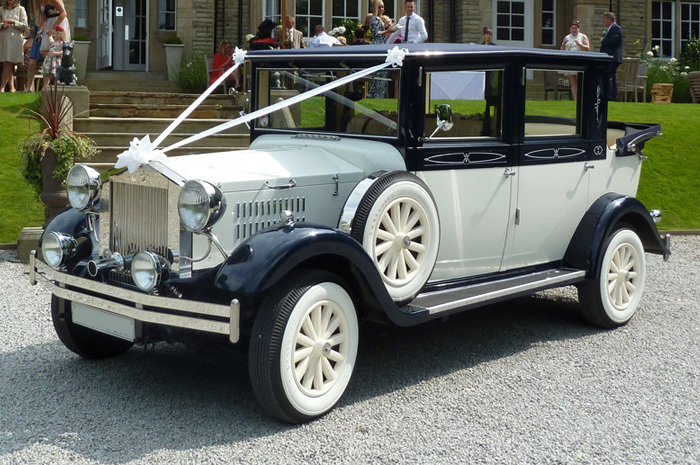 From a short journey or a full day hire, we will manage your wedding transport schedule to meet your exact requirements so that you travel and arrive in time and in style.